Diabetes mellitus is characterized by disturbances in carbohydrate, protein, and fat metabolism. A leading cause of death in North America, diabetes is a major risk factor for myocardial infarction (MI), stroke, renal failure, and peripheral vascular disease. It’s also the leading cause of blindness in adults. 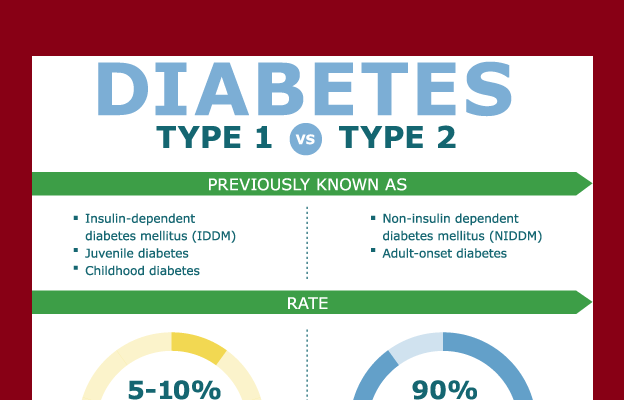 Diabetes exist in Two Types : type 1 and the more prevalent type 2 diabetes mellitus. 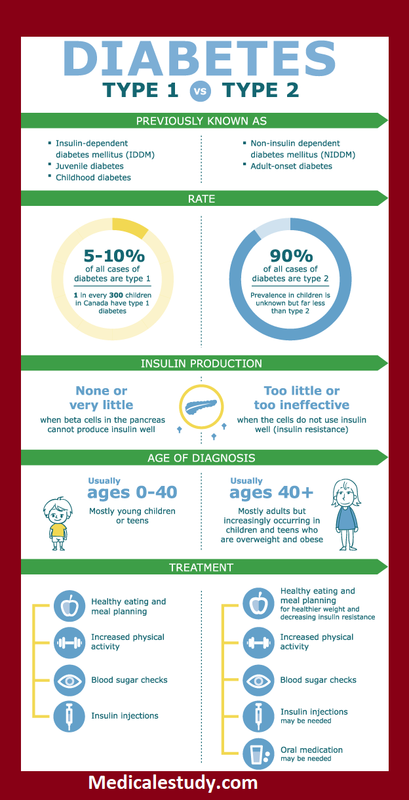 Type 1 diabetes usually occurs before age 30 (although it may occur at any age); the patient is usually thin and will requireexogenous insulin and dietary management to achieve control. Conversely, type 2 most commonly occurs in obese adults after age 40; it’s usually treated with exercise, meal planning, and antidiabetic drugs. Treatment may include insulin therapy. An increasing number of adolescents and young people are being diagnosed with type 2 diabetes. Type 1 is an autoimmune disease strongly associated with human leukocyte antigens DR 3 and 4. It may also be associated with certain viral infections.